Cruising through the latest runway collections to uncover the trends worth testing out can be daunting. There's a lot. Plus, as you scroll through the looks from your favourite designers, questions of whether or not a trend is actually worth it, if it's going to stick around, etc., probably race through your mind on repeat. We’re here to narrow your focus with a curated menu of the top looks of 2019 that actually matter. While we’ve identified five key trends for next season below, we took our task one step further and ranked each of the must-have looks in order of necessity, starting with the crochet trend. Want to try them all upfront at the top of the season? Go for it and live your life. But you can also use this as a checklist to map out what to try first and go from there. 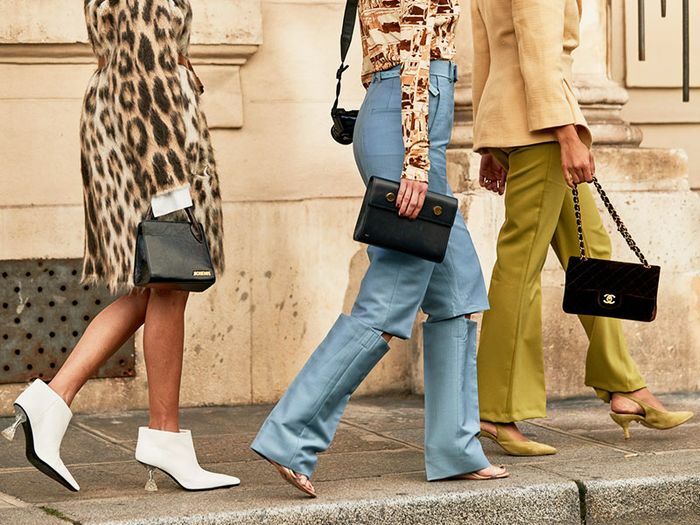 And since we know you may not even want to wait three months to jump on spring’s It looks, we shopped out each 2019 trend so you can start wearing them now if you so desire. 1. Getting Crafty. You’re going to see crochet everywhere in three months as it rises up to be a new wardrobe staple. But no, we’re not talking about your grandma’s knit pieces or average boho crochet here. The look is modern and elevated, adding a dose of ’70s cool to any look. 2. Biker Gang. We’ve seen biker shorts among the street style and celeb sets all season long, but as designers from Fendi to Chanel showcased, the trend isn’t going away anytime soon. So if you haven’t tried the look yet, get to it. 3. Birds of a Feather. Sometimes you just want to feel fancy, and feather-accented pieces are the simplest way to make that happen. Sure, the trend has coasted through the last few seasons, but the top designers were feeling extra fly for spring, bringing dramatic feathers to the forefront of a silhouette. 4. Down to Earth. Sure, colors galore stormed the runways, but one of the standout hues of the season just happens to be one of the subtlest and most down-to-earth. 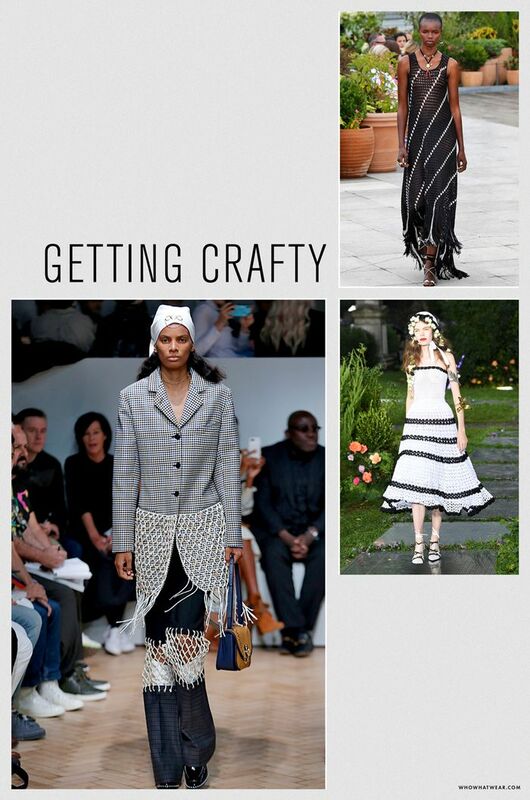 Designers dressed models in head-to-toe earth tones, proving that paring it back can actually make quite a statement. 5. Fine Print. After you test out your head-to-toe-beige look above, cruise over to the other end of the spectrum with graphic, punchy prints. Here, more is more, where mixing floral and graffiti patterns is welcomed and encouraged. This story was originally published at an earlier date and has been updated by Allyson Payer.